None of us had seen this movie since it was released in 1994 and although its reputation certainly preceded it, I'm not sure we understood the extent of what we were signing up for here when we picked it. 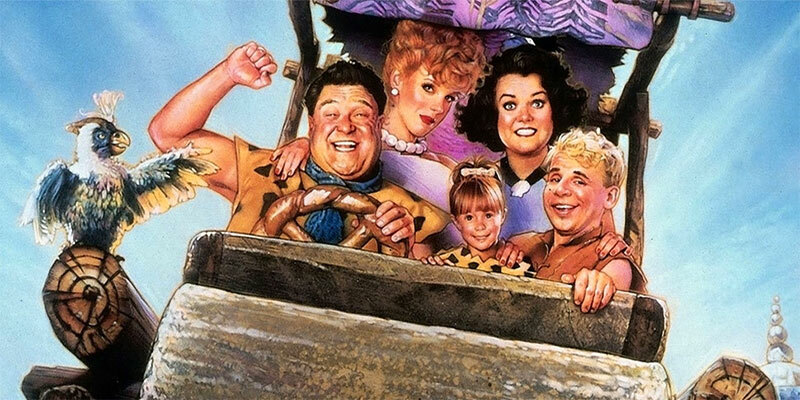 It's not going to come as a surprise to anyone that this wasn't a particularly good movie, but The Flintstones is a really interesting counterpoint to some of the other big screen adaptations we've covered on this podcast. On a purely superficial level, this is a film that preserves everything about the cartoon its based on. And yet, it all falls completely flat. Why is that? We think the answer's pretty clear. Topics include: how The Grapes of Wrath influenced one of the earliest incarnations of this, the astounding number of writers that came and went from this project after that, the one really controversial casting choice, the glut of unnecessary subplots, why this all seems more like the plot for a sequel than the inaugural film in a franchise, and much much more!